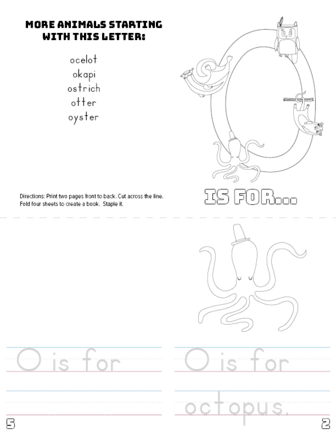 This Letter O Printable Book is great for learning animals and practice handwriting skills. 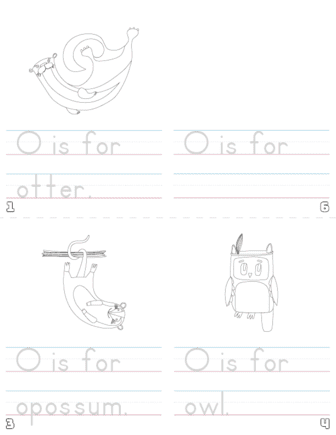 Kids are encouraged to color and write the name of each animal. Ask them to draw their own animal that starts with this letter. Don't forget to write the name!